Children at any age can be difficult to parent and nurture for many reasons, especially when trauma has shaped their early life experiences. When difficulties arise between parent and child, most therapists naturally focus treatment on the child. But the parent–child bond is a two-way street, and parents come with their own history, which can impede an already challenging child’s ability to attach. Additionally, feelings of connectedness and safety are usually relayed in nonverbal ways that therapists too often ignore: through small moments of eye contact, touch, rhythmic gestures, warm smiles, and ultimately the sharing of joy and delight. But how do you go beyond words to cultivate a deeper sense of attachment in therapy? How do you help a child and parent who are both contributing to the disconnection in their relationship? One such mother–daughter case challenged me recently to take a closer look at this two-way street. Elaine was living in a state of constant stress, amplified by a growing dread of interacting with Natasha, given her avoidant style and hair-trigger temper. Weeping openly, she told me she was deeply ashamed of the way she felt and how she was failing to connect with her own daughter. Although her tears continued to flow, they now seemed to express her relief. “So there’s hope,” she said, almost to herself, as she reached for a tissue. “Huh?” she responded with a blank look as she played with the tassels on her boots. Her mom sighed with exasperation and elbowed her, saying, “Come on. It’s empanadas!” Natasha returned an empty stare, which made Elaine look at me and roll her eyes. As with most traumatized children I work with, I knew my first task was to transmit to Natasha that she was safe—at least safe enough to peek out from her protective shell and see if there could be something worth taking the risk of letting her guard down for. Clearly, talking and asking questions wouldn’t get us far, nor would initiating any activities that asked for her overt cooperation. But in these situations, I can often find ways to help parents and children connect through attachment-based games that involve elements of silliness, movement, and surprise. Next, I asked her to make a fist with her left hand, and when she held up it up, I cupped it with both my hands, looked her squarely in the eyes, and said with a resonant voice, “Oooooh, that’s a good fist.” I then reached for a big sheet of newspaper and spread it open in front of me. “Now, with this fist, I want you to punch a hole right here in the center of my newspaper when I say ‘One, two, three, punch.” I pointed right to the center. “I have my arms extended way out, so you don’t have to worry about hurting me when you punch the paper,” I added. To start, I cued up a videoed segment of our last session with Natasha, where a particularly moving interaction had occurred between them. The game, called slippery slip, involved Natasha and Elaine sitting crossed-legged and facing each other on the floor. Using lotion to make her hands slippery, Elaine held hands with Natasha and leaned back while trying to maintain her grip on her hands. Naturally, there was a gradual slipping away, which ended with a dramatic falling backward, followed by a springing back up. The first time Elaine watched this clip, she seemed mesmerized but also a bit in disbelief. “What do you see, Elaine?” I asked. I looked at Elaine. “Yes, she really enjoys playing with you. Did you see her reach her arms out to you? How do you feel when you see that?” I asked. “I want to believe that she needs me, but part of me still thinks she’s faking,” she answered. Elaine seemed to be experiencing a deep sorrow as she relayed this anecdote. So we spent the next few sessions exploring this feeling of not being truly worthy of love, and how it now intersects with the challenge of raising a child who’s often distant and sometimes frightening. At one point, remembering how she’d had to stay home from school a lot as a child because of respiratory problems, she recounted that although she was physically taken care of and had plenty of medicine and juice by her bed, she’d often wait desperately for the hours to pass until her mother or father would come home. When they did come home but didn’t go straight to check on her, she’d feel so hurt that when they finally did go up to her room, she’d act as if she didn’t need them. It began to dawn on Elaine that beyond the security of a stable home and a good school, the need she wanted to fulfill for Natasha was one of feeling really special and connected, as she’d wished for herself as a child. While this new feeling of longing to mother Natasha stirred inside her, she felt increasing worry that she wouldn’t be able to rise to this level of connection. At that point, I replayed the video segment of the slippery slip game, where she and Natasha had been giggling and moving in sync with each other. Although Elaine had watched this clip several times in the past, it was as if she was now seeing its emotional undercurrent for the first time and accepting the possibility that she could actually earn her daughter’s affection. Elaine’s confidence as a mother began to blossom the more she felt that Natasha trusted her and wanted to be with her. And in therapy, Elaine continued to learn to be present and supportive in ways that were more palatable to her daughter. In one particularly difficult session, we were exploring a nightmare that Natasha had had the night before. In it, Elaine had died in a car crash, and Natasha had to move to a stranger’s home in California. Barely managing a weak whisper as she described it, Natasha asked her mom to recount the dream. Elaine used a tender voice to describe not only the dream as Natasha had relayed it in the middle of the night, but how she’d found her looking panicked and grief-stricken. She said it must have been frightening for Natasha to have woken up from a nightmare like that. “It happens a lot,” Natasha mumbled. “You’re doing that now, Elaine,” I noted. Natasha laid her head on a pillow, leaning in her mom’s direction. Elaine put her hand on Natasha’s thick hair and tenderly began to stroke her head. The three of us sat in silence for several minutes. Natasha’s breathing became deeper and more rhythmic. Looking at Elaine, I saw the warmth of a mother with a steadfast dedication to comforting her child. In this incident, Natasha and her mother had momentarily slipped away from each other, falling backward, and both had been able to spring back up and reconnect, just like in the attachment-based game we’d played early on. Those brief moments of playfulness at the start of our journey had laid the foundation for their new level of connection. Now, with Natasha able to go to her mother not just for comfort but for joy, they were ready for the next slippery slip, and the one after that. As treatment continued, Natasha increasingly learned to rely on her mother for her basic needs. For example, when Natasha revealed she couldn’t sleep with the windows open in the summer because she was scared someone would kidnap her, Elaine immediately reassured her that they’d lock the windows and use the air conditioning to make sure she’d feel safe. Comforted by that response, Natasha asked her mom if she could sleep with her in her bed. Elaine felt a new confidence in her immediate response: yes. She reported that Natasha seemed much calmer and more cheerful after that, and had returned to sleeping in her own bed after a few days. Dafna Lender describes a case in which she creatively engages a single mother, Elaine, and adopted 13-year-old daughter, Natasha, in family trauma treatment, nicely illustrating the use of joining, enactment, reframing, and strategic directives along the way. She immediately decodes the key theme driving Natasha’s symptoms of disengagement alternating with fiery rage, and early on discovers that Elaine doesn’t have the skills to emotionally attach to and nurture Natasha. But Lender never gives up on the mom or daughter. Recognizing that asking straightforward questions or overtly requesting participation from Natasha leads nowhere, she uses attachment-based games as a catalyst to bring about small moments of connection between mother and daughter. 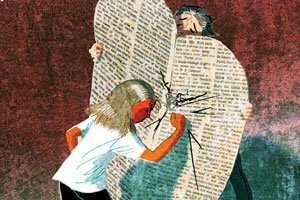 In one instance, she asks Natasha to show her strength by punching through a newspaper, increasing the energy and engagement level in the session. In another, she skillfully uses a game called slippery slip to foster a new interactional pattern or feedback loop of playfulness and fun. Lender then introduced this new feeling between mom and daughter to other areas in their relationship, until nurturance became a new normal. This is a brilliant example of how a strategic directive or technique can bring about new and healthy patterns of interaction between family members and heal trauma symptoms. The defining moment in treatment comes when Lender is able to link the mother’s own experiences as a child to her present-day difficulties with her daughter, exploring how Elaine never felt that her parents genuinely enjoyed being with her and how that informs her struggles to simply be with Natasha. Once this connection is made, Lender is able to experientially develop that theme and gradually build the mother’s confidence as a parent. I’m only concerned about two issues. First, with clients like these, it’s important to normalize and educate the family that if signs of relapse do happen (a return to aggression or a feeling of detachment, for instance) one or two tune-up sessions might be necessary to get things back on track. Second, what about Elaine’s extended family? Why were they not mentioned or directly involved in sessions, even via phone if travel was an issue? I nonetheless applaud the way this case was handled, as too often trauma-informed treatment focuses exclusively on the child without active parental or caregiver involvement. Lender’s work presents a clear illustration of why a family systems lens is so invaluable and why a child’s trauma is so often interconnected to a parent’s own early life experience. Dafna Lender, LCSW, is a certified trainer and supervisor in both Dyadic Developmental Psychotherapy (DDP) and Theraplay. She’s the program director of The Theraplay Institute in Evanston, IL, and provides Theraplay and DDP trainings and supervision in three languages. Contact: dlender@theraplay.org. Experience Dafna Lender's workshop at the 2019 Networker Symposium in Washington, DC. March 21-24, 2019. Scott Sells, PhD, is the CEO and founder of Parenting with Love and Limits. He’s the author of Treating the Tough Adolescent and Parenting Your Out-of-Control Teenager, and coauthor of Treating the Traumatized Child: A Step-by-Step Family System Approach. Want to earn CE hours for reading this article? Take the Networker CE Quiz. Want to submit a Case Study piece for an upcoming issue? Please see Submission Guidelines. As an educator and pediatric health communicator, I am deeply impressed by the care and connection that Dafna provided to this family - as well as her ability to tell the story for the benefit of others. Our children's need to feel attached, no matter when or how they have experienced trauma, or not, is the bedrock of our relationships and, indeed, our ability to feel right in the world. What a gift that practitioners like Dafna are helping people like Natasha and Elaine get back to the most wonderful of feelings - feeling right in our own skin, with our loved ones and in our homes. Thank you for this inspiring and well-written piece about playful ways to deal with trauma and insecure attachments in relationships. Reading Dafna Lender’s case study, it quickly becomes clear that she has a true gift and passion for helping children who’ve experienced trauma and their parents. In a situation that may feel hopeless to parents and terrifying for children, Dafna gives her clients their first experiences of being seen, accepted and treasured where they are and she guides them opening their hearts and minds to change. It is heartwarming to read of those ice melting moments of connection, laughter and joy that eluded this mother and daughter. Dafna has a grounded, warm and confident presence and recognizes the efforts and accomplishments of this family. She holds up a mirror for them to see their own tender hearts and how allowing their heart connection to grow strengthens and encourages them both. What is obvious but not stated is Ms. Lender’s deep affection for her beloved clients. She relates to them with the lovingkindness, compassion and admiration that they later learn to extend to themselves and each other. Always holding hope for Natasha and Elaine, Dafna Lender leads them from a place of pain towards a promising future. As a clinical social worker who works with teens and families, I appreciate the granular descriptions of therapeutic play interventions-- detailed enough I can recognize how to try them. The writer's warmth & skill set shines through as she describes ways to help Mom identify clinical themes, & note progress. A good learning case, thanks. I was deeply moved by Dafna Lender's case history of mother and child. The sensitive and delicate nature of repairing attachment cannot be overestimated, and was remarkably executed using play, humor and honesty. I'd love a follow up article!! Thanks!! Amazing story about the power of play! I really enjoyed it.